Police raided the Bengaluru house of known criminal Bomb Naga in Karnataka. 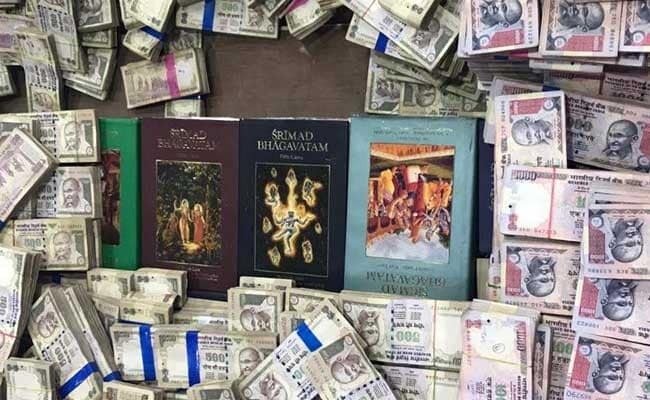 After five hours, the money was still being counted - and at that time, it totalled nearly 15 crores. In cash - and in the high-denomination notes that were banned in November by Prime Minister Narendra Modi in a shock move. The location was the home of a Bengaluru criminal known as Bomb Naga (real name: V Nagaraj) who was not present when the police showed up for a raid. The house, in a middle class neighbourhood of West Bengaluru, was rigged with CCTVs, and fortified with a series of iron gates and bars. Police found a huge stash of cash in the raid at the Bengaluru house of Bomb Naga. The police had to summon metal-cutting experts to break into the home of Bomb Naga, who has been accused earlier of links to the murders of political rivals and extortion. He has in the past contested elections- without success -for the local corporation and the state assembly. The raid was based on a court order related to a kidnapping case.